WIRED partnered with Marriott to deliver a 360-degree program designed to establish Marriott as a brand that appeals to MasterBlenders that succeeded in attracting a new and younger audience to Marriotts across the country. Print / Digital / Tablet: Marriott leveraged WIRED’s in-house design team—WIRED Works—to develop a younger, more modern look and feel to their creative appealing to the WIRED reader and their MasterBlender target. Events: The WIRED + Marriott Culturazzi Series, hosted at select Marriott Hotels & Resorts, featured four bespoke events at which guests were invited to meet up and socialize in Marriott Greatrooms across the country. The series of captivating events drew young and affluent consumers and confirmed that Marriott Hotels & Resorts has mastered the art of blending work and play. 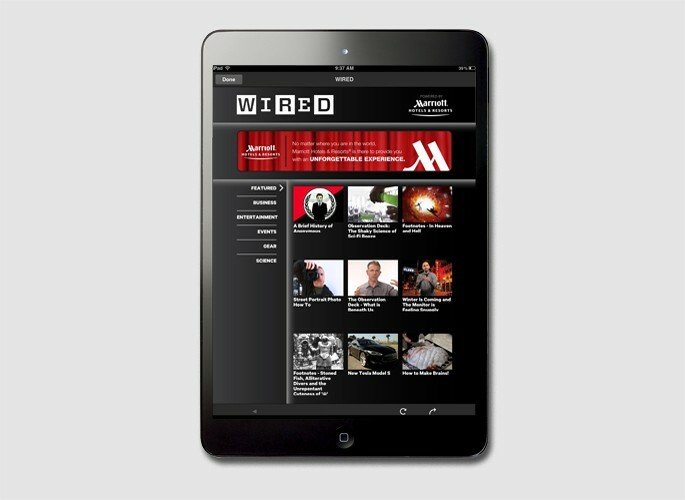 Video Library: Marriott Hotels & Resorts was the exclusive sponsor of WIRED video content available via an all new video library living within the WIRED tablet app. 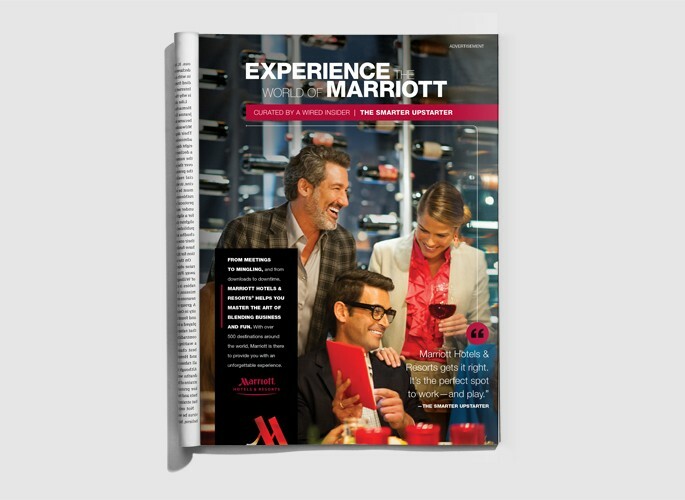 Custom Research: WIRED conducted an online study using the WIRED reader panel on behalf of Marriott Hotels & Resorts. The study was designed to help Marriott Hotels & Resorts better understand “MasterBlenders” and uncover key facts relevant to Marriott’s Workspring initiative.